Before I get to the more current news, I want to back-track just a bit. Stay with me: see where I am going. As you may recall, at the end of March, we were expected to release a last group of terrorists, as per original arrangements to bring Abbas to the table. But the voices raised in opposition to this here in Israel were strong. And there was a very serious issue with regard to releasing Arabs who were Israeli citizens – the PA having been under the impression that we would because this is what Kerry told them, although Israel had not agreed. Our government assessed the situation. There were no direct negotiations going on. And Abbas had let it be known that once he had those prisoners, he was going to walk out. And so, Netanyahu, seeing no gain in such a move, cancelled that prisoner release, thereby eliciting rage from the Palestinian Arabs. Enter the US, which attempted to “salvage” the situation. Rumors abounded about a deal in which we would release all of the last group of prisoners, and another 400 to boot, and the US would release Jonathan Pollard. Whatever its precise parameters, there was some sort of deal on the cusp of being completed. And then Abbas signed all of those applications for membership in international organizations and conventions, thereby quite deliberately scotching the deal. At that point, Netanyahu declared that no prisoners would be released unless the applications to international agencies were voided. And that is my point here. The applications were not voided and have in fact been accepted. According to what Netanyahu had said, we might have thought that the issue of releasing prisoners was dead. Ah, but then we would not have reckoned sufficiently with Kerry’s determination to keep going at all costs, or with Netanyahu’s readiness, under duress, to help him achieve that goal. Last Friday, Gil Hoffman, political analyst for the JPost, wrote an article about how Netanyahu had lost his majority in the cabinet for approving a deal that would see those prisoners released (apparently including the Israeli Arabs – who would have been banished from Israel), if Pollard were to be released, and the PA would stay at the table for an extended period of time. The majority (of one) was lost because after the terror attack: Public Security Minister Yitzhak Aharonovitch (Yisrael Beitenu) said he could not longer vote for a prisoner release since Abbas had not condemned it. My point here is simple: Netanyahu, who said there would be no prisoner release if Abbas did not void international memberships, was prepared to waive that stipulation and go ahead anyway. Not for a second do I make light of the enormous pressure that Kerry brings to bear. And yet, and yet… A leader must stand on principle, adhere to his word. Or else, where are we? Floundering, is where. A note about Jonathan Pollard, who has been pulled around like a marionette on a string – he’ll be released, he won’t, he will, he won’t. 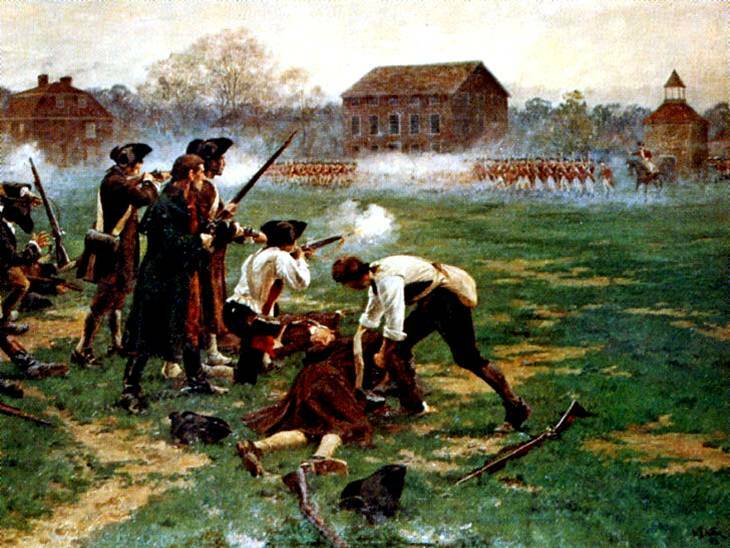 What the Americans have done in this regard is despicable and beneath contempt. With it all, however, perhaps something that will benefit him has been accomplished. It had been argued in certain quarters that he couldn’t be released because he represented a security risk. Patent nonsense after all these years, even if it might have been true in the beginning. But now it is demonstrably nonsense. If it was OK to release him in the context of Israeli-PA relations, then, clearly, it is OK to release him. I urge that efforts to release Pollard be intensified. 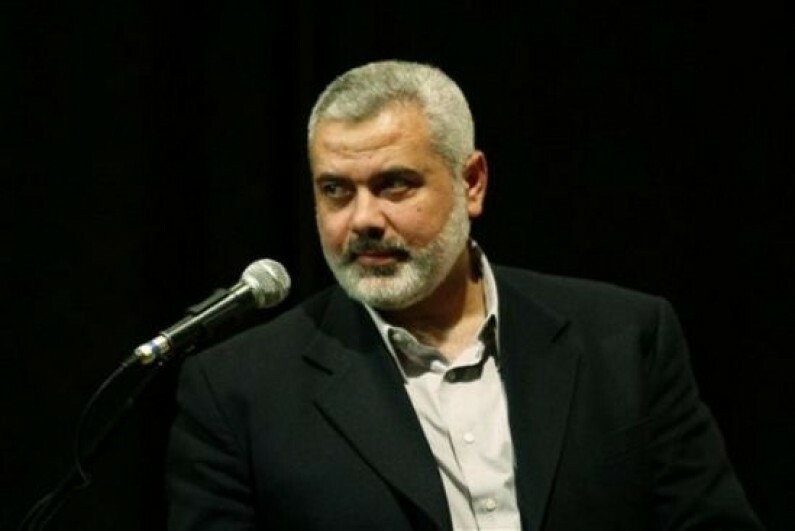 According to Al Jazeera, a Fatah delegation headed by Azzam al-Ahmad met Hamas leaders, including Prime Minister Ismail Haniyeh (pictured below) and senior official Musa Abu Marzouk, in Gaza yesterday. At the end of the meeting it was announced that a unity government would be established within five weeks. From the Hamas perspective, anything that pulls Abbas away from Kerry’s incessant pressure to “negotiate” and into the “jihad” sphere is a good thing. From the Fatah, perspective, Abbas is thumbing his nose at the West and removing himself from a no-win situation. A government (I believe of technocrats) to be established within five week. Elections for the presidency and legislature within six months. Hamas and Islamic Jihad join the PLO. The matter of Hamas joining the PLO has huge significance. This is something that Hamas has sought for a long time, for it confers power. Technically, Israel negotiates with the PLO, not the PA. Consider the implications. The fact that the unity agreement was announced does not guarantee genuine success. There have been multiple unity agreements that have fallen apart at one stage or another. Whether motivation is truly different now, because the situation is different, is something we’ll have to watch. But, as much as there are inherent tensions between the two movements, there is also considerable affinity. Their ideologies are not so different – as both Fatah and Hamas want Israel gone; only the methodologies vary. As much as Abbas has been intransigent in dealings with Israel, so is Hamas intransigent in its demands of Fatah. What I have observed over the years is that Fatah contact with Hamas further radicalizes Fatah. Do not for a fraction of a second be taken in by left-wing arguments that claim Fatah will “moderate” Hamas and bring it to the table for peace. For the time being, this truly does seem to be the kiss of death for the “peace negotiations.” When news of the meeting first surfaced, Netanyahu declared that Abbas could choose peace or Hamas but could not have both. And, he added, rather pointlessly, even though Fatah had not chosen peace until now he hoped at this point it would. After the formalization of the unity agreement was announced, Netanyahu observed that Abbas had chosen Hamas and not peace. It would seem to be a no-brainer. But there is always that slight unease, that Kerry’s presence will again be felt, and a loophole will be found that permits Israeli talks with the “Fatah branch” of the new unity government – or some such double talk. At any rate, talks scheduled for today were cancelled by Israel. While Abbas is playing the “good partner,” acting as if he can do a reconciliation with Hamas and continue to pursue negotiations with Israel. His people will be meeting with US representatives. “There is no incompatibility between reconciliation and negotiations, especially as we are committed to a just peace based on a two-state solution in accordance with resolutions of international law. Does Kerry – who spoke about Abbas’s dedication to pursuing peace – feel the complete fool yet? 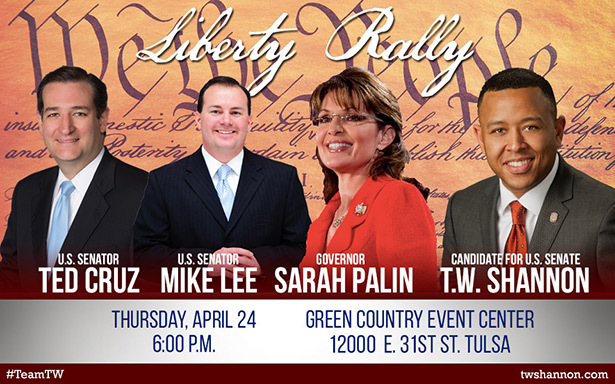 RSVP now for our April 24th Liberty Rally featuring T.W. Shannon, Governor Sarah Palin, Senator Mike Lee, and Senator Ted Cruz. Sign-up now and see you soon! Help spread the word – T.W. Shannon will make America proud! Sarah returns to Des Moines, Iowa for a She-PAC fundraiser on April 27, 2014. 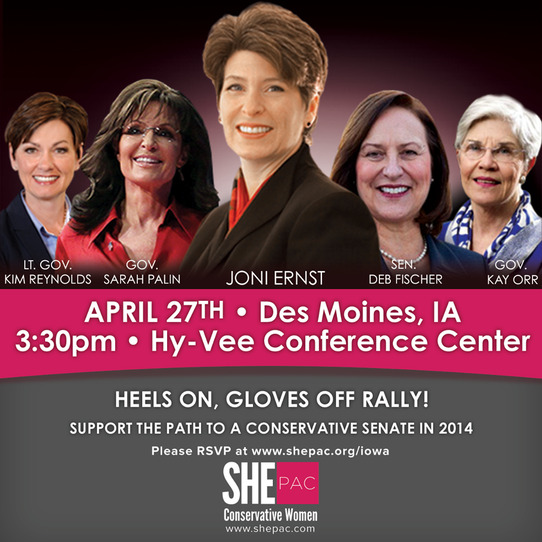 Be there on April 27th to rally in Iowa and join with Governor Sarah Palin, Joni Ernst, U.S. Senator Deb Fischer, Governor Kay Orr, and Iowa Lt. Gov. Kim Reynolds to Support, Honor and Elect conservative women in 2014! The event will be on April 27th at 3:30PM at the Hy-Vee Conference Center, 5820 Westown Parkway, West Des Moines, IA 50266. The event is free to the public, just simply RSVP HERE! Today, US Army paratroopers arrive in Poland. They are the first wave of a contingent of American soldiers dispersed to four nations across Europe to support America’s Eastern European allies from the Russian menace. Only 600 soldiers will initially land, which seems to be merely a token move on Obama’s part. Approximately 150 soldiers will arrive in Poland. The others will be spread out among Estonia, Latvia and Lithuania. All are countries that Russia would love to welcome back into the USSR fold. The US will have to do a lot better than 600 troops as a show of deterrence and I believe Obama knows that. He is playing both sides of the game here and is far from serious about stopping Russia. Anyone foolish enough to believe the faux agreement struck between the US and Russia last week means anything at all, needs to have their head examined. NATO and the US seem to be playing a very dangerous game, but Russia is holding a winning hand and is not put off one bit by this weak show of bravado. I hear that the US may send as many as 10,000 troops to Poland, but I wouldn’t hold my breath if I were you. Obama has also authorized the deployment of NATO anti-missile defenses, including the USS Cole, an Aegis-equipped missile warship, near Crimea. Once again, I do not see this as a solid show of strength. It is window dressing. Russia has 40,000 troops on the Ukraine border, so repelling any Russian advance is laughable at this point with what little we have put into play. Russia has also buzzed our Naval ships as well. In an act seen as “provocative,” a Russian Sukhoi-24 fighter jet repeatedly buzzed the USS Donald Cook as low as 500 feet over a 90-minute period on April 12th, as the US warship trolled the Black Sea in international waters near Crimea. Russia is not afraid of us – they are making fun of us and toying with us before the kill. We are in a classic military trap between Russia and China. One moment, Obama says we must build up our might in Asia… then Russia invades Crimea and Obama says we have to pivot back to Europe. Our troops and military assets are being spread so thin, they can’t win in either theater and Obama knows it. Our strategy appears fickle and indecisive. It screams weakness to our enemies. While we dither from one side of the planet to the other, China is beefing up their military even more, which I contend is now the largest in the world. 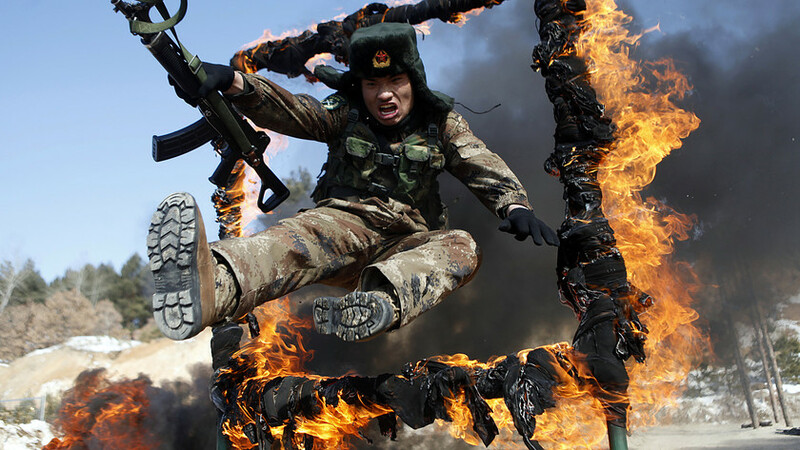 Photographer: STR/AFP via Getty Images — A soldier jumps over a ring of fire during a tactical training mission in Heihe, northeast China’s Heilongjiang province, on March 5, 2014. President Obama will go on an Asian tour this week, but he won’t even bother with China. Of course, his wife and family just vacationed there, so all must be good. Commies of a feather. China is also daydreaming of taking down the US. Supposedly, Obama is going to try and assure four Asian nations that we will protect them from the threat of a militarized China, while dining on $300 Sushi in Tokyo. How laughable. In reality, Obama is covertly supporting the Chinese and Russians. I’m convinced of it. Pivoting back to Russia and speaking of laughable… Biden warned Russia to pull back its troops and abide by last week’s international agreement or face the certainty of swift new sanctions. Once again, its an agreement that means nothing and the Russians are still snickering over it, I am sure. Biden is soft in the head and the spine and is nothing more than a bad joke with hair plugs to our enemies. Biden says time is short — well, at least he got that part right, but not for the Russians. And on the US’ comedy tour of Europe, here comes John Kerry — what a buffoon. He is claiming this conflict is much harder than the Cold War. You know, the Cold War that never ended, but shifted. The Cold War where our guys fought and died to free the world of Communism, just so some day (now), Progressives in our own government could hand the world back to the Communists. And you thought time travel was confusing. While Obama has been disarming the US, Russia and China have been strengthening their military ranks with more soldiers and more weapons. Russia now has the world’s third largest defense budget at 70 billion. I know this will surprise you, but as Obama was coming into power in 2008 and starting his systematic neutering of our military might, Russia started modernizing every weapon and every soldier they had. So did China. All of this started with Obama. Think about that. We are giving lip service and a token military presence to the Ukraine that will in no way stop the Russian bear. The US has now pledged 25 million in funds to help the Ukraine defend themselves. We have given them packaged food, blankets, sleeping bags, helmets and generators — but not weapons. That should make them a little more comfortable before the Russians charge in and take them to the gulags. DONETSK, Ukraine (AP) — Ukraine’s highly publicized goal to recapture police stations and government buildings seized by pro-Russia forces in the east produced little action on the ground Wednesday but ignited foreboding words from Moscow. Russian Foreign Minister Sergey Lavrov warned that Russia would mount a firm response if its citizens or interests come under attack in Ukraine. Although he did not specifically say Russia would launch a military attack, his comments bolstered wide concern that Russia could use any violence in eastern Ukraine as a pretext for sending in troops. Separately, the Russian foreign ministry issued a statement demanding that Ukraine pull its armed forces out of the crisis-ridden region. Russia, meanwhile, has tens of thousands of troops stationed in areas near the Ukrainian border. As Putin seems to be walking in the footsteps of Hitler and the Jews once again are beginning to fear death camps, one can’t help but see the comparison between the two. 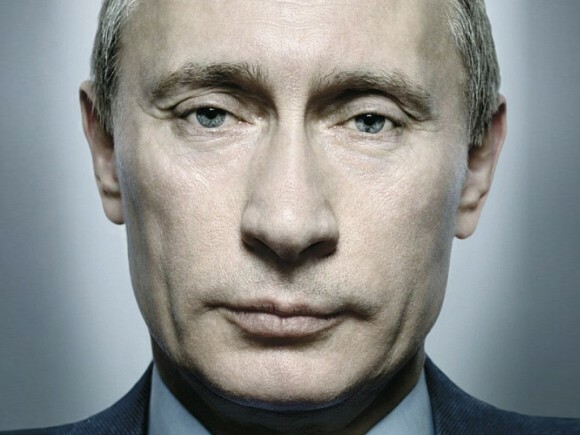 Putin is persecuting homosexuals and there are tales of executions. He has always been an uber nationalist, feeling that Russians are superior to others. Although Putin is reminiscent of Hitler pre-1939, it wouldn’t take much to jump that line as history repeats itself over and over. Only this time, the US is no longer in a position to come to the rescue and neither are the Western allies. Migranyan’s comment, published in a Russian newspaper, has received quite a bit of attention, both because of his position and for its chilling content. There is no doubt that Hitler crossed a line in September 1939 when he invaded Poland, finally forcing Britain and France to go to war. (Maybe Migranyan remembers that the Soviet Union also invaded Poland.) Up to then, Hitler had mostly satisfied himself with collecting the lands of German-speaking peoples — Austria, the Sudetenland of Czechoslovakia, etc. — although Poland also had a substantial German minority. If something like this is what Putin has in mind — gathering Russian-speaking people under his rule — then Migranyan seems to be saying: What’s the big deal? What he does not mention, though, is that by 1939 Hitler was already engaged in killing Jews, dissidents, communists, homosexuals and, that year, the mentally and physically feeble. Kristallnacht, a government-sanctioned pogrom, occurred in 1938; the Nuremberg laws, depriving Jews of their civil rights, were promulgated in 1935; and Germany was rapidly re-arming, in violation of its treaty obligations. It was, way before 1939, an outlaw state vigorously engaged in murder. Putin is a murderous thug. He pretends to be a Christian when it suits him. He relies on useful idiots in the West to muddy the waters for him and give him cover to push forward a global agenda of conquest and power. He is simply evil. So, tell me again why we are playing at war with Russia? They are even holding one of our journalists hostage and not a peep from Obama. Russia is now war gaming the Ukraine, while the UK just chased off two Russian jets. This is not a game to millions of people and as Putin covets Eastern Ukraine and beyond, a weakened West lays a buffet for Communists to feed on. The question is, who’s next on the menu? Welcome to the Watcher’s Council, a blogging group consisting of some of the most incisive blogs in the ‘sphere and the longest running group of its kind in existence. Every week, the members nominate two posts each, one written by themselves and one written by someone from outside the group for consideration by the whole Council. Then we vote on the best posts in each category, with the results appearing on Friday morning. The multi-talented Tom White over at Virginia Right! has a brand new song up at YouTube, ‘The Eric Cantor Blues.’ Tasty! Debra Heine at Nice Deb has a great piece over at Breitbart giving us the low down on the latest doings of the Tea Party Express with Tea Party Express Launches Ninth National Bus Tour. Yours truly at Joshuapundit has a new piece up at the Times of Israel on Mahmoud Abbas and his threat to dissolve the Palestinian Authority if all his demands aren’t met, Farewell To Abbas And The PA? Good Riddance. This week, The MidKnight Review, Le·gal In·sur·rec·tion, Jewish American Patriots, Gulag Bound and The Pirate’s Cove earned honorable mention status with some great articles. To bring something to my attention, simply head over to Joshuapundit and post the title and a link to the piece you want considered along with an e-mail address (which won’t be published) in the comments section no later than Monday 6 PM PST in order to be considered for our honorable mention category. Then return the favor by creating a post on your site linking to the Watcher’s Council contest for that week when it comes out Wednesday morning. David Gerstman/Le·gal In·sur·rec·tion – The UN: What is it Good For? Western Journalism – Reid’s Ominous Threat: “Something Will Happen” To Bundy Family submitted by VA Right! 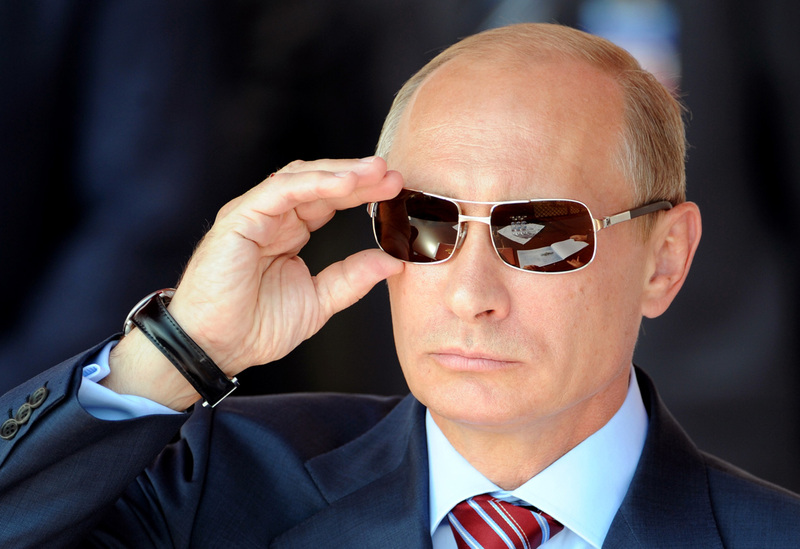 Is Vladimir Putin the New Reagan? Pravda, the Russian political newspaper, ran a story with the headline, “The leader of the free world: Obama or Putin?” Patrick J. Buchanan, a veteran conservative commentator who once worked for President Ronald Reagan, has made his choice. Buchanan wants people to believe the founding of Texas and the separation from Mexico is somehow akin to Putin’s brazen attempt to reconstitute the Soviet empire by seizing Crimea. But it seems mighty strange that Buchanan, a critic of illegal immigration from Mexico, would now accuse Americans of using Putin-style tactics to keep Texas free of Mexican control. Buchanan fought with Reagan in the 1980s to expose Soviet disinformation and propaganda. Now he accepts Russian disinformation and propaganda. How on earth can Putin’s illegal power grab in Ukraine, rubber-stamped by a Putin-controlled Russian legislature, compare with a deliberate process that involved a popular vote for a state constitution for Texas, accepted and ratified by the United States Congress? On top of the false analogies, Buchanan conveniently ignores the 1994 Budapest memorandum, signed by the Russian government, which guaranteed Ukraine’s territorial integrity, in exchange for giving its Soviet nuclear weapons back to Moscow. Buchanan, in the same column, mocks the work of the National Endowment for Democracy (NED), a federally-funded group that tries to promote democracy abroad. But there can be no doubt that people around the world, including in Ukraine and Venezuela, can use all the help they can get from the U.S. in organizing against Marxist and authoritarian regimes. The NED basically funds civil society groups and independent media organizations. Buchanan begins by quoting his former boss President Ronald Reagan’s comments on the Soviet “Evil Empire,” and then spends the rest of his column conspicuously failing to explain how Putin, who worked for that empire, has given up his communist ways. This bizarre column follows another, in which the veteran conservative commentator insisted that God is on Putin’s side in the global struggle. It is difficult to understand how Buchanan has come to embrace Putin, except as a reaction to his own loss of faith in the United States. It seems that, for Buchanan, America has become the new “Evil Empire,” something the far-left has been arguing for years, and that Putin is the savior of Christian civilization. The biggest false assumption in this rationale is that Putin’s recent conservative rhetoric on family values is legitimate, and not propaganda and disinformation. So Putin believes in man, rather than God. This doesn’t even qualify as Russian Orthodox Christianity, long dominated by the KGB/FSB in Russia and now advertised as the state church in Russia. For Putin, going to church and wearing crosses—even his visit to the Vatican—is part of a show. It is sad to see Pope Francis apparently falling for it, too. As part of the ongoing propaganda show, it has been reported by Pravda that members of Putin’s United Russia party are proposing to put former Soviet dictator Mikhail Gorbachev on trial for the collapse of the USSR. While this indicates the real intentions of Putin and his cohorts, in terms of rebuilding the old Soviet Union, the idea that the ideology of world communism ever died should be addressed. Robert Buchar, who wrote the book, And Reality Be Damned, and produced the documentary “The Collapse of Communism: The Untold Story,” says the Russians have had a long-term strategy of “Perestroika” deception—how to fool the West and end the Cold War under Moscow’s terms. “The West was unable to develop any counter-strategy because they refused to believe Moscow had this long-range strategy,” he says. If this does indeed happen, it will be because Americans conservatives and libertarians like Pat Buchanan and Ron Paul, and others like them in the World Congress of Families, fall in line behind Putin. Buchanan goes beyond the Marxist materialism and New Age humanist rhetoric of the former KGB spy on the Larry King show to actually endorse Putin’s military aggression against his neighbors. Buchanan compares “the Russians who are taking over city centers” in eastern Ukraine, on orders from Moscow, to the Maidan Square demonstrators in Kiev, who forced a Kremlin puppet to flee, and the dozens of spontaneous demonstrations around Ukraine, which knocked down dozens of Lenin statues. This false equivalence betrays the Reagan legacy, which always recognized the need for justice for Ukraine and other former Soviet republics, but also for those suffering under the communist/KGB comrades in Russia as well. Buchanan, who now argues for less, not more, U.S. military engagement around the world, listed in another column, “What would Reagan do?,” several examples of Reagan intervening against dictators and despots. But Reagan made an even bigger mistake by not retaliating against the perpetrators of that bombing—the Iranians and their agents. Buchanan doesn’t mention the Iranian connection, probably because he now opposes any kind of U.S. military action against the regime over its current nuclear weapons program. Buchanan claims, “The Ayatollah has declared a fatwa against nuclear weapons,” a statement repeated by President Obama that has no basis in fact, and which is in all likelihood a form of disinformation, taught to the Iranians by their Russian patrons. So this was one of Reagan’s failures and missed opportunities, which Lyons notes could have changed the course of history. Attempting a rewrite of the Reagan years, Buchanan argued in his column that Reagan “never threatened military intervention in Eastern Europe, as some bellicose Republicans do today.” In fact, Reagan did more than that, threatening to deploy nuclear weapons against the Soviets in Europe. That was a major battle of the 1980s. So Reagan was indeed “bellicose,” after all. And he won. Buchanan’s critical error is thinking that the “Reagan Doctrine” policy of supporting anti-communist freedom fighters could be separated from his challenge of Soviet military power in Europe, where direct military assistance to anti-communist resistance movements was not practical at that time. What was needed in Europe, and which Reagan provided, was the political will to challenge the Soviet Union. Buchanan has lost the will to resist. Reagan lost it only once, in response to the Beirut bombing, and we have been paying the price. Reagan’s support for freedom fighters in Latin America and Africa, and his challenge to Soviet military power in Europe, clearly means in the current context that he would not turn his back on anti-communist regimes once they had come to power, such as in Ukraine. Reagan would not have excused Putin’s power grab in Crimea. “Reagan was an anti-Communist to his core, having fought them in the Screen Actors Guild in the 1940s,” Buchanan notes. That is why Reagan, after exposing and challenging the Evil Empire, would have been supporting the former communist regimes seeking, with American help, their freedom and independence from the Soviet Union/Russia. If the NED is not the proper vehicle for this assistance, then let’s use the CIA. But why turn our backs on the freedom-loving peoples of Eastern Europe and rationalize the aggression of their oppressors, still wielding power in Moscow? This thinking is not the Pat Buchanan I admired during the 1980s, when he was Reagan’s communications director. “The Gipper was no neocon,” Buchanan writes, using a term of derision that some critics of U.S. foreign policy apply to those acting on behalf of the interests of other countries, most notably Israel, rather than the United States. But Reagan was in fact a “neocon,” if the term simply means spreading U.S.-style democracy, in the sense that he used the full military force and power of the United States against the communist challenge. That challenge still exists in the form of Vladimir Putin, who, as veteran journalist Bill Gertz has remarked, dropped the Marxist component of Marxism-Leninism, in order to attract Western capital, but still pursues the Leninist dream of a world dominated by the KGB. Putin may not call himself a communist, and he may wear a Christian cross and even go to church. But that is clearly part of the deception that Reagan never would have fallen for and which Buchanan has tragically, in his later years, embraced. If there is a critique to be made, it is that U.S. efforts to promote democracy in Latin America were largely abandoned during the George W. Bush years, in favor of a campaign after 9/11 to focus on transforming the Middle East. The result is that Iraq, after liberation by U.S. military forces, has become a client state of Iran, and Obama’s embrace of the Muslim Brotherhood threw a longtime U.S. ally, Egypt, into turmoil and even into the hands of Putin and Moscow. Many of Reagan’s gains have been reversed. On April 18, Grenada’s Prime Minister Keith Mitchell “extolled his country’s historical collaboration links with Cuba during a reception on the occasion of the 35th anniversary of bilateral relations,” as noted by communist Cuba’s publication Prensa Latina. It was a Cuban-backed cabal in Grenada which Reagan had ordered overthrown in 1983, using U.S. military forces. The countries of Venezuela, Bolivia, Nicaragua, and Ecuador, in addition to Russia, were publicly thanked by NSA traitor Edward Snowden for offering him asylum, as he fled the U.S. In El Salvador, which Reagan had supported against a growing communist insurgency, a communist named Salvador Sánchez Cerén has just won the presidential election. With NSA help in monitoring communist communications, as noted by The Washington Post, Colombia largely defeated its terrorists, after 40 years of war. But its current president, Juan Manuel Santos, is negotiating “peace” with the remaining terrorists under the auspices of Cuba, in a deal that may give the far-left a road to political power through elections. Former President Alvaro Uribe, author of No Lost Causes, has said negotiating with the terrorists is like negotiating with al-Qaeda. The Venezuelan regime alone has purchased $5 billion of weapons from Russia. In Africa, the communists got the ultimate prize—South Africa—as Nelson Mandela consolidated power while deceiving the world about his secret membership in the Communist Party. Mandela’s successors have all been communists, with the latest, Jacob Zuma, having made a minerals deal with Vladimir Putin. Indeed, Russia and South Africa have become strategic partners in the BRICS group, referring to Brazil, Russia, India, China and South Africa. Like Germany, Brazil has been much in the news as a “target” of NSA surveillance. But there is just as good a reason to keep Brazilian President Dilma Rousseff, a former communist terrorist, under surveillance, as there is Angela Merkel, who concealed her role growing up in East Germany as an ideologist for a communist youth group. Writing in the Los Angeles Review of Books from a left-wing perspective, Adam Morris notes that, while Brazil “has not formally offered asylum [to Snowden], senators from both the ruling party and the opposition have campaigned on his behalf. Nor has Brazilian President Dilma Rousseff ruled out granting asylum, cautiously observing that Snowden has not yet requested her country’s aid.” Brazil is where Snowden accomplice Glenn Greenwald is usually based. Greenwald’s recent receipt of a Pulitzer Prize from Columbia University demonstrates how disinformation and propaganda against the NSA have now become worthy of the highest journalism awards in the nation. This unprecedented development dramatizes the inability of the U.S. media, even by some on the conservative side, to understand what is happening right in front of our eyes. Greenwald asks, “Is Angela Merkel a terrorist?,” attempting to ridicule surveillance of the German leader. Of course, historically, the NSA has been used to monitor espionage against the United States, as revealed by the Venona counter-intelligence project cracking the codes between Moscow and its agents in the U.S. during and after World War II. Unmasking foreign agents goes hand-in-hand with exposing the “active measures” operations that have been unleashed, and which may have even enlisted Pat Buchanan as a media conduit for Russian propaganda. Ironically, however, Buchanan had seen through Snowden, while not seeing through Putin. Snowden “broke his contract, he violated his oath, he betrayed American secrets and I think he damaged the security of the United States,” Buchanan said during a TV appearance. “I think he ought to be prosecuted.” This was the anti-communist Pat Buchanan talking. He went on to refer to the employees of the NSA as mostly patriots. It would seem that telling Putin how the NSA has been eavesdropping on Russian communications was not so heinous after all. Instead, sounding like the left-wing supporters of Snowden, Buchanan was prepared to make the NSA out to be the villain. The about-face was another indication that Buchanan has become a slavish devotee of all things Putin. For Buchanan, Putin is the new Reagan.